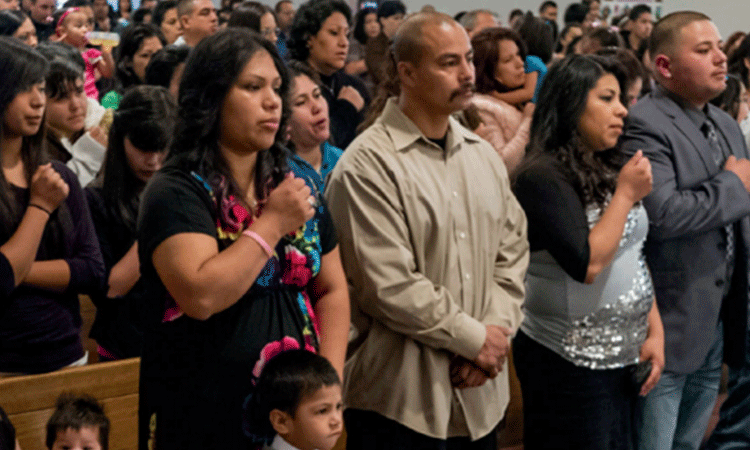 The mission of the Hispanic ministry is to bring the word of Jesus Christ to the Hispanic community and facilitate their integration into the life of the parish while celebrating our cultural values in a spirit of communion and collaboration. The Spanish Mass is celebrated every Sunday at 5:00 P.M. We welcome all to join the celebration of Mass as well as volunteers to help run the Mass and associated church ministries and programs. Opportunities include: Lectors, Extraordinary Ministers (EM’s), Ushers, Greeters, Choir Musicians and Singers, Altar Servers, Baptism Preparation Instructors, etc.